Buy Online Now! - Vines Rock Concert Posters and Memorabilia. The Vines’ success resulted in winning an ARIA Award in 2002, ‘Breakthrough Artist – Single’, for “Get Free” and receiving five other nominations for their debut album Highly Evolved, plus two further nominations in subsequent years. In 2003, the album went platinum in Australia. The Vines have released six studio albums to date. 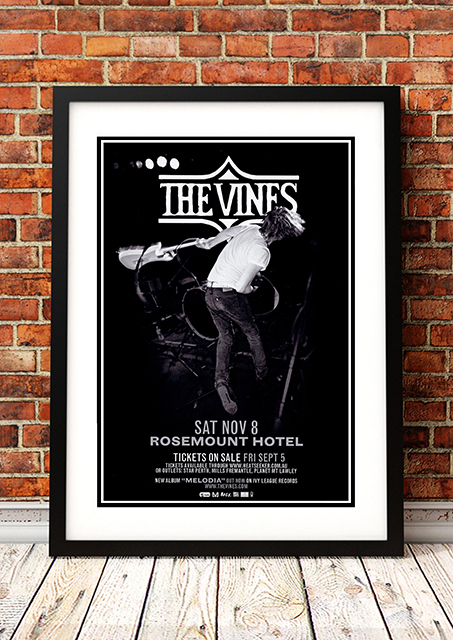 We stock a great range of Vines concert posters.